Welcome to Windmill's Events Review! 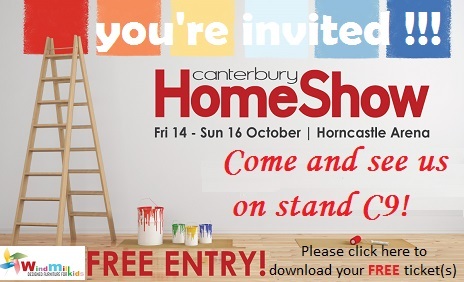 What a fantastic experience for Windmill Kids Furniture at Canterbury Home Show 14th-16th Oct 2016! We feel so proud of being part of Canterbury rebuilt. Canterbury, what a beautiful name and home! That home helped to build up our Windmill business and made Windmill a well known brand among mums & dads and of course those happy beautiful faces we meet every day at our lovely showroom located at 145 Blenheim Rd, Christchurch. 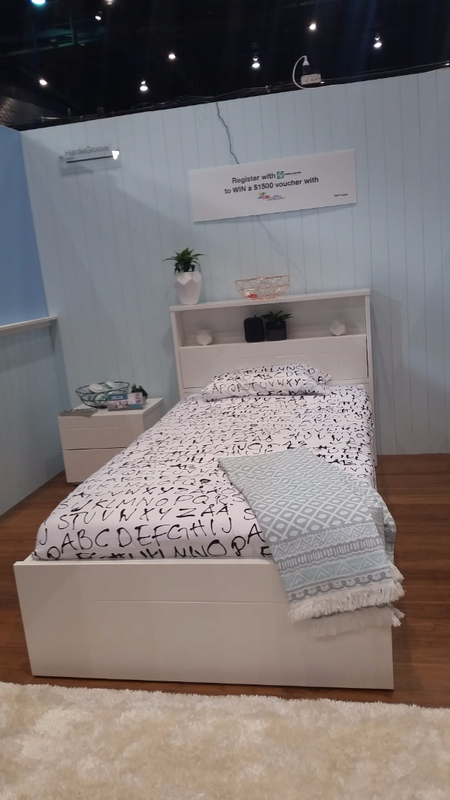 Windmill has also been chosen by James Hardie at Canterbury Home Show to display our new arrival New Delta Bed at their stand and one lucky customer is going to win $1500 voucher with Windmill Kids, generously offered by James Hardie! We are waiting for the lucky winner to come to our Windmill Store to claim the prize! Everyone had a blast! 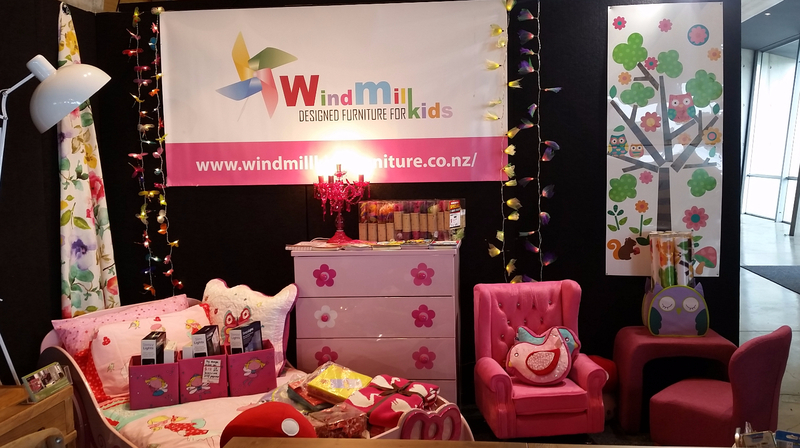 The Windmill Kids Furniture shops at the Botany Town Centre, Auckland & 145 Blenheim Rd, Christchurch were such a fun place to be in on 28th and 29th of July. 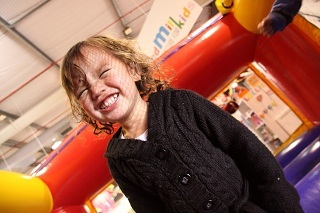 The little ones were there in all sizes and ages with big smiles on their cherubic faces, hanging on to balloons, lollies and goodie bags. The mood was upbeat and bubbly for our anniversary celebration. 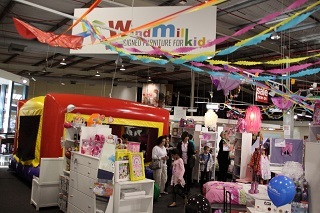 Windmill Kids Furniture was converted into a fun fantasyland with a bouncy castle, face painting, colouring competition, shaped balloons and lovely animal characters walking around Fire Engine beds, Princess Carriage beds, Castle Canopy beds and Flower Power desks. 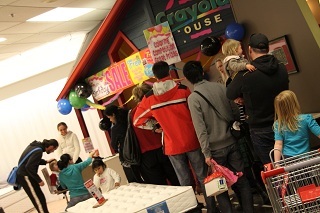 Tiny-tots and toddlers were energetically bouncing around in their little castle whilst their parents, nanas, uncles and aunts had a fabulous family day out shopping for beautifully designed kid’s furniture. 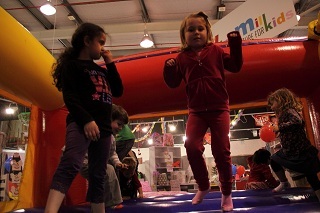 The children were dazzled with the burst of colourful toys and accessories. 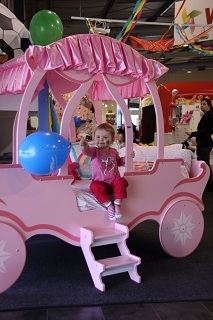 Though what they enjoyed the most was shaking hands with their favourite animal characters, happily accepting lollies from them and posing for hundreds of photographs--- creating beautiful memories of the grand anniversary celebration of Windmill Kids Furniture. 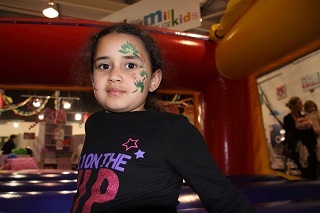 Gorgeous glitter designs that were beautifully created by our face painting artist added even more creativity and colour to the enjoyable event. 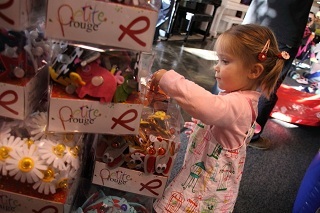 Not to be outdone, our little budding artists who visited the shop on our birthday took part in a colouring competition. All in all, our anniversary weekend was packed with fun, frolic and lots of entertainment.